The must see event for St Patrick's Day 2019! The show for ALL ages cleverly fuses awe-inspiring contemporary Irish dance with mind-blowing magic and grand illusions, and has now returned to Australian stages for a one-night show at the Sydney Lyric Theatre . Witness dancers appear and disappear, costume change in the blink of an eye, levitate and much more. With incredible new choreography, spellbinding magic, heart-racing music and a sensory experience like no other, audiences will be kept on the edge of their seats and left wanting more. 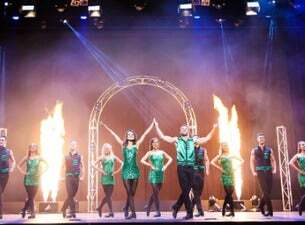 Showcasing a stellar cast of champion and internationally-acclaimed dancers, including performers from both Riverdance and Lord of the Dance, Celtic Illusion offers some of the fastest taps in the world as the dancers thunderous rhythm fills the stage in perfect unison. Since its premiere in 2011 the show has performed to sell-out audiences across Australia and in New Zealand, with audiences blown away by the combination of scintillating dance and illusion.